Wine columns like this one can, at times, get a bit technical and wine geeky. So, I thought this week we’d go back to the basics and talk about the wines that constitute the large majority of all wines sold and consumed. There are six of them—the big six wine-grape varietals. By the way, when you see the wine-speak word “varietal” used by wine writers, they are talking about a wine that is primarily made from a single or dominant grape. That grape is the varietal. However, many wines are made by blending that predominant grape with others, each of which lends unique taste and aroma qualities to the wine that wouldn’t be there otherwise. By the way, estimates differ, but most wine experts agree that there are some 24,000 different names for wine grapes around the world, and around 5,000 or so actual varieties, with only 150 being of commercial importance—and, as I said, a mere six that dominate the wine market. So, what are the six big grape varietals? There are three white grape varietals (Chardonnay, Sauvignon Blanc and Riesling) and three reds (Cabernet Sauvignon, Merlot and Pinot Noir). Usually, with the big six varietals, they are easy to identify in the wine store because the wine bottles will say “Chardonnay,” “Merlot,” Pinot Noir” and so on. However, that’s not always the case. In France, for example, both Chardonnay and Pinot Noir are typically classified as Burgundies; there’s white Burgundy (Chardonnay) and red Burgundy (Pinot Noir). Likewise, Cabernet Sauvignon is the primary grape usually used to make French red Bordeaux, which is not labeled as Cabernet Sauvignon; it’s just called Bordeaux. Get to know the big six grape varieties—how they taste, smell and even how they feel in the mouth—and you’ll be able to wow your friends at wine tastings by easily being able to identify these wines without ever seeing the bottle. Seriously, with a little practice and exposure to these wines, it’s easy to do. So, let’s consider the unique qualities of each varietal, keeping in mind that different vineyards and different winemakers create differing expressions of each varietal. Otherwise, there would just be six winemakers. This week, we’ll tackle the three white wine varietals; in the next Drink column, we’ll turn our attention to the reds. 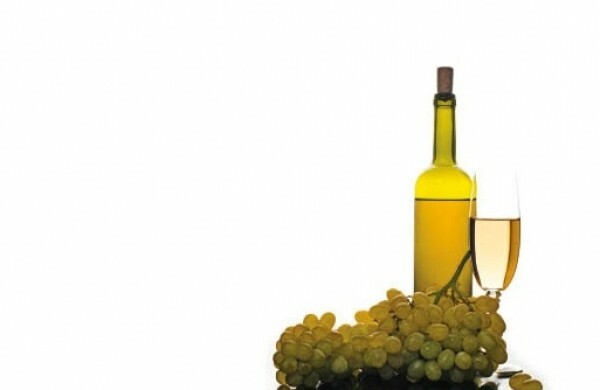 This is a full-bodied white wine, meaning that it’s a little heavy or weighty compared to other whites on the palate. Chardonnay flavors range from apple to tropical fruits like pineapple. It’s often fermented in oak barrels that, not surprisingly, give it an oaky flavor. If you want to impress your sommelier, tell her you don’t care for over-oaked Chardonnays. Herbaceous in a word commonly used in conjunction with Sauvignon Blanc, which tends to have herbal aromas and grassy, grapefruit-like flavors. It’s dry, acidic wine—quite crisp, which makes it a good food partner. The wonderful Sancerre wines from France’s Loire Valley are made with this grape, and New Zealand Sauvignon Blanc is considered by many to be the gold standard. I once asked the sommelier at the three-star Michelin restaurant in Champagne what his favorite wine was. His answer was Riesling. He liked it because it’s so versatile and food-friendly. Many people think Riesling is sweet, but it runs the gamut from sweet to bone-dry. Green-apple flavors and flowery aromas are common, and Riesling typically has relatively low alcohol levels and high acidity. Sommeliers are usually impressed when you order Riesling, since it doesn’t get the respect it deserves.